Don't want the hassle of building a new home? Check out these amazing homes built with Timber Ridge Home's same superior craftsmanship and attention to detail. Minutes from the schools on 1.5 acres, this home is loaded with quality, custom touches. Features include timber and stone entry, tray ceiling details throughout, Knotty Alder woodwork, open concept living with stone and built-in accents, cozy three-season room with large windows overlooking backyard, mud room with barnwood lockers, master suite with attached laundry, two additional bedrooms and full bath upstairs. Office, kitchenette, bar, and rec room downstairs. Large finished garage space, concrete patio, and raised firepit. This is a beautifully updated home on the best level lot on Prairie Lake. 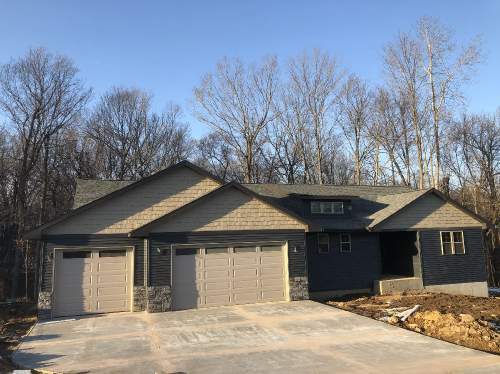 Features include spacious bedrooms where the kids can have overnights with their friends, great cook's kitchen, huge living room, oversize attached garage for all your toys, decks, patios, and more to entertain and enjoy lake life! In winter the large dining area is great for holidays. 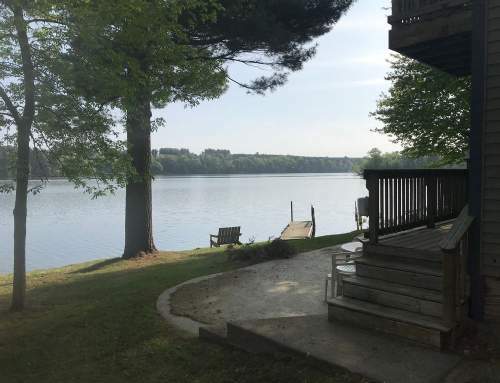 Other features besides location include natural gas, close to town, less than hour drive to Eau Claire, tons of privacy, and wide open water for swimming and boating! A few hundred feet away in Prairie Lake you can swim to a sand bar at the end of an island. The lake is also great for boating, waterskiing, and fishing. Because of the gentle slope to the lot, plowing a skating rink, snowmobiling, and ice fishing are easily accessible. This is a great recreational property year round. Another great Focus on Energy home being built in Timber Canyon. Move in before the holidays – estimated completion date is late October. Vaulted ceiling in the main living area and tray ceiling in the master bedroom. Mudroom is oversized with a walk-in closet and located next to laundry room. Kitchen has eating bar and walk-in pantry. There is also a walk-out basement that overlooks a private, wooded ravine. 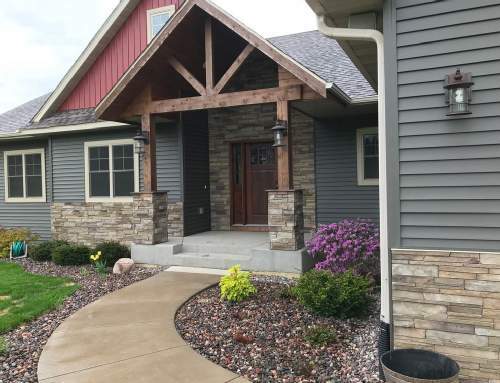 Buyer still has time to make their own choices for exterior,cabinets, and flooring.